The B.A. degree program in Arts and Letters provides the opportunity to craft a customized major for students who are interested in the study of any of the forms of human expression, creativity, and culture, and whose career/life plans would be served by an academic scope broader than that offered by any single department. Students enrolled in the Arts & Letters major may declare French Romance Studies or Italian Romance Studies as the primary area of concentration (18 credits/9 upper div.) or secondary area (9 credits/3 upper div.). Navigating Romance Studies paths in French or Italian: a French faculty adviser will be assigned to each Arts and Letters student with a primary area in French Romance Studies. Likewise, an Italian faculty advisor will be assigned to each Arts and Letters student with a primary area in Italian Romance Studies. This program develops the ability to communicate in Spanish and introduces students to the masterpieces of the literature of Spanish-speaking countries and the most significant aspects of Hispanic culture. Students are encouraged to study in Spain or Latin America in an approved program. Proficiency in a World Language is a natural enhancement for a diverse range of professions. Certificate paths consist of a five-course sequence that culminates with a 3XX-level capstone. A minimum overall GPA of 2.00 overall and a GPA of 2.66 in the language specialization is a requirement for this certificate and must be maintained up to and including the final course in the sequence. All 3XX-level courses facilitate focused study of the target language in the student’s targeted career track (Self-Determined Language Learning) and oral presentations that likewise allow for connections between target language and the student’s career path. Students must complete at least three courses in the Buffalo State Modern and Classical Languages Department, with at least one course at the 3XX level. Any outside credit appeals are subject to departmental approval, and in some cases, a proficiency interview may be required of students seeking to apply outside course equivalents or CLEP credits to the certificate. Find out more about World Language Advantage certificate paths and requirements.  SUNY Buffalo State offers unique and innovative courses of study that optimize traditional classroom-based, computer-mediated, and clinically-rich learning experiences.